Welcome to the world of Vincent’s 3 Barber Shop & Hairstyle – where you can get the haircut & hair style of your choice. We feel proud to describe us the number one barber shop in Burlington. Our professional barbers will give the style of hair of your life. Vincent’s 3 Barber Shop & Hairstyle offers a wide variety of hair style of latest fashion. Come to Vincent’s for ALL your hair styling needs. As there are so many hair salons in Burlington Ontario then why should you choose Vincent’s 3 Barber Shop & Hairstyle? Nothing but Experience. All the barbers of Vincent’s are professionally trained and have more than 10 years of experience. Without hesitatingly, visit Vincent’s. You will get top haircut in Burlington, Ontario. 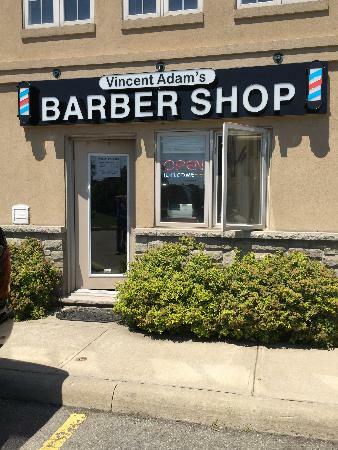 Vincent’s 3 Barber Shop & Hairstyle is located at 1253 Silvan Forest Dr, Burlington, Canada L7M 0B7. Call them today at 9053355680 or 4162584890 to schedule your appointment.